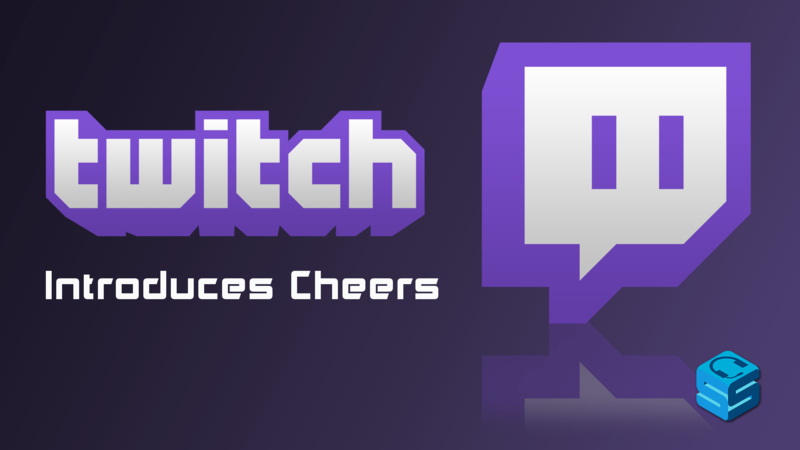 Twitch’s latest feature, Cheering, brings a new way to support and celebrate your favourite streamers. Through the use of Bits you can Cheer for your favourite streamer directly in chat, with the use of animated chat emoticons. Currently in beta, it is only available for a select group of partnered streamers, but will be later rolled out for more partners. Once purchased you can use your Bits in chat to Cheer for your favourite streamer by typing “cheer” followed by the number of Bits, like “cheer100”, anywhere in your chat message. You can also have multiple Cheers in the same message. Larger denominations of Bits offer larger and different animated emoticons. By Cheering you also unlock Cheer Chat Badges, specific to each channel. Just like any other chat message, Cheer messages can be purged. A banned or timed out user is not able to send Cheers in that channel during the period they are banned. Streamers will also find that 3rd party overlay software and apps may offer the ability to display Cheer notifications on stream. TwitchAlerts has already released support for Bits. The revenue made from Cheering is shared between Twitch and partnered streamers, although the % split has not been disclosed to the public. Streamers don’t need to stop using other 3rd party tip services either if they utilize the Bits system.